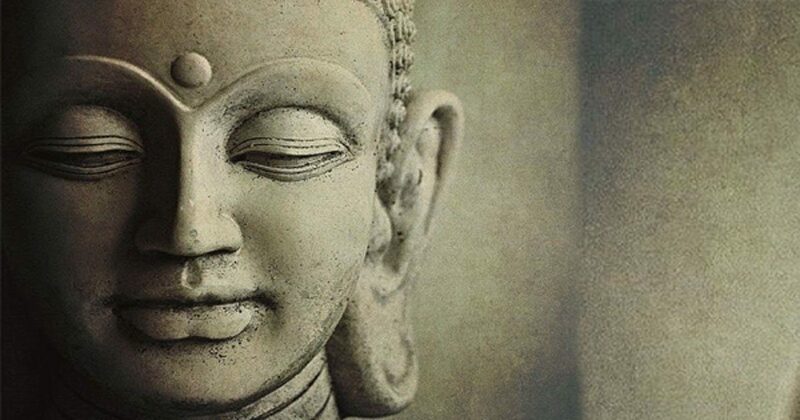 Some people wonder why the great sages, such as Buddha, are always depicted smiling. It seems like there’s some great and uplifting secret that they are privy to, knowledge of which has liberated them from all the suffering in the world. Buddha knew a great many things. One piece of knowledge he shared with Alan Watts: that there’s nothing, fundamentally, to be afraid of. Essentially there is no reason to ever worry or to feel bad about things that might happen in the future. This seems like an article of faith, and perhaps an irrational one, until one looks at the philosophy behind it. Most people think that they know what lies in store for them as a human being on this planet. That they will die, and suffer as they do so. What lies in store is growing older, more tired, more decrepit, and eventually more sick, until a major organ fails and one dies painfully. Probably this death will be preceded by several decades of increasing pain in joints and muscles, as well as eyesight, hearing, bowel and bladder failure, and maybe even a stroke or two. It follows from this that life itself is suffering, and increasingly so as one ages. We can conclude that we know we’re going to die, and that this death is going to be painful. Therefore, we know that an attitude of apprehension and even fear towards the future is rational. This is why almost everyone has one – we know that the future brings immense suffering. But do we really know this? One knows that one is conscious. Thinking about it, it’s possible to realise that this is all one really knows. This is the one and only single fact that one can ever state with certainty. Everything else is a matter of probability, even questions like “Will the Sun rise tomorrow?”. It’s not certain that the Sun will rise tomorrow, because the Earth could be destroyed at any time by a comet, rendering the question of sunrise meaningless. Because nothing else can be known, nothing else can be stated as an eternal fact about reality. Only the fact that one is conscious can be stated as such. All else belongs to the category of contents of consciousness, which is to say that all else is merely “things that one is aware of”. These phenomena are not facts in the same way that one can state “I am conscious” as a fact. Rather, they are probabilities. Let’s say that life is suffering. Fair enough, life is suffering, and it gets worse until the physical body dies. So what? There is no reason to think that one will still be aware of the suffering of one’s physical body after its expiration. One is conscious now, and one is conscious of a physical body, and this physical body suffers – so what? There is no reason to think that consciousness is still aware of the suffering of the physical body after death. Indeed, consciousness might then become aware of a new body, or might dream up something else entirely. Therefore, any physical suffering can never be any more permanent than any other phenomenon of Nature, such as the ebb and flow of the tides. Birth, death, doesn’t matter: all is just an oscillation from pain to pleasure, with high points and low points. For this reason, there is no need to fundamentally be afraid of the decay and death of one’s physical body. There’s every reason to think that on the other side of death is the absence of all suffering, and all pain is just a shadow of death. All suffering is an effect of material phenomena, which are all transitory in nature. If there is no reason to fear death, then there is no reason to fear pain either. All suffering will pass. Note that the argument here is that there is nothing fundamentally to be afraid of. There might be plenty of things to be superficially afraid of – death and pain being the foremost of these. It makes sense to be afraid of getting hit by a train, not because the consequences of getting hit by a train would be permanent, but because one has a role to play here in this dimension of reality in which we find ourselves, and one’s role is (in all likelihood) one that avoids getting hit by trains. Not to be fundamentally afraid does not imply that one ought to behave recklessly or without regard for one’s physical well-being. There is no reason, fundamentally, to be afraid of anything, because all suffering is a phenomenon that will pass. We do not need to be afraid of pain merely because pain is painful – this is sufficient reason for pain to be avoided, but not for it to be feared. We can appreciate that pain, like all natural phenomena, comes and goes, and that we remain the observer of it, as we remain the observer of all material phenomena.